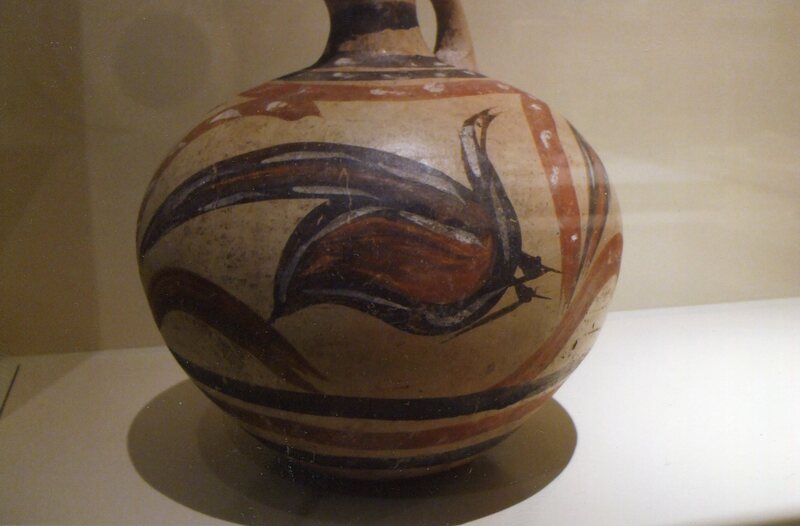 In this final post on the Minoans, we’ll see how they ended, but they never really did end. 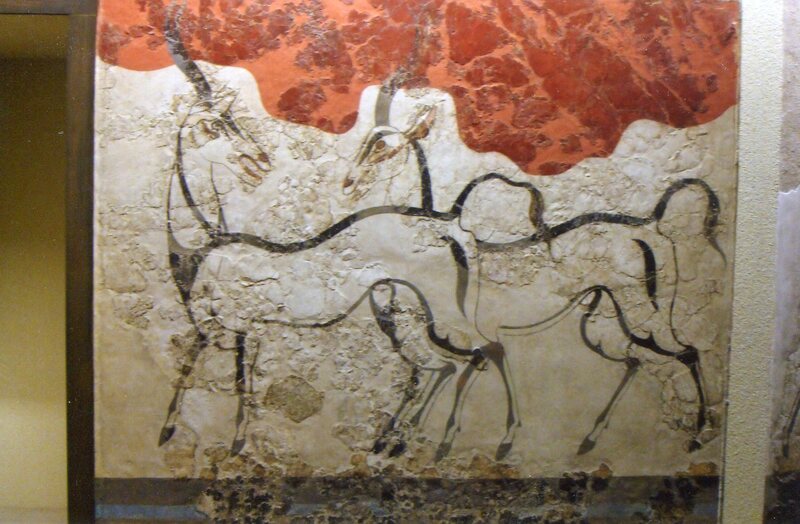 At the dawn of Western history, the Minoans created many cultural standards that have yet to be surpassed. But they were eclipsed after their day in the sun. Greek speaking people called the Mycenaeans established a powerful federation of city-states up on the mainland, with palaces and lavish art in gold. Both societies coexisted peacefully and traded with each other until around 1500 BCE. They then competed, and the Mycenaeans won and took over the palace at Knossos around 1400 BCE. They governed from there for about 300 years, until their civilization fell. 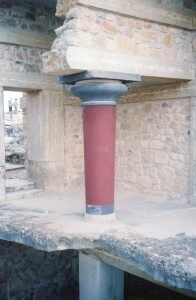 But given Crete’s compactness, the Minoans had an amazing amount of influence on Greek culture. 1. Showing reality as it is, with realistic portrayals of people and animals, rather than the fanciful elaborations that Indians have often preferred. 2. The focus on what’s human-sized, rather than grandiose monuments, like Egyptian pyramids and temples, Chinese royal palaces that were as big as cities, and Khmer monuments. This disdain for the sensational later developed into ancient Greece’s love of proportion, which they built into their colonnaded temples and philosophies about divine ratios in nature. 3. A love of warm colors like earthy reds, yellows and browns. This preference reinforced the focus on the here-and-now, rather than the larger metaphysical backgrounds that have been more common in Indian art. Greeks didn’t connect much with the sky. They didn’t even have a word for blue. They conflated blue and green in the word chloros, and they associated it with vegetative growth. Minoans’ and Greeks’ perceptions were centered on Planet Earth. 1. Zeus’ mother, Rhea, hid him in a cave there when his father wanted to kill him. Locals danced and sang loudly to hide his cries. 2. The Athenian hero Theseus slew the Minotaur, who had been devouring seven youths from Athens every year. Crete had a special place in ancient Greeks’ ideas of origins. They weren’t far off the mark. Minoan art and society inspired many ideas that later developed as some of the West’s greatest hallmarks: democracy, human centered art, ratio, and the here and now. The Minoans still live. This series begins at Facts and Maybes About the Minoans and the Palace at Knossos.